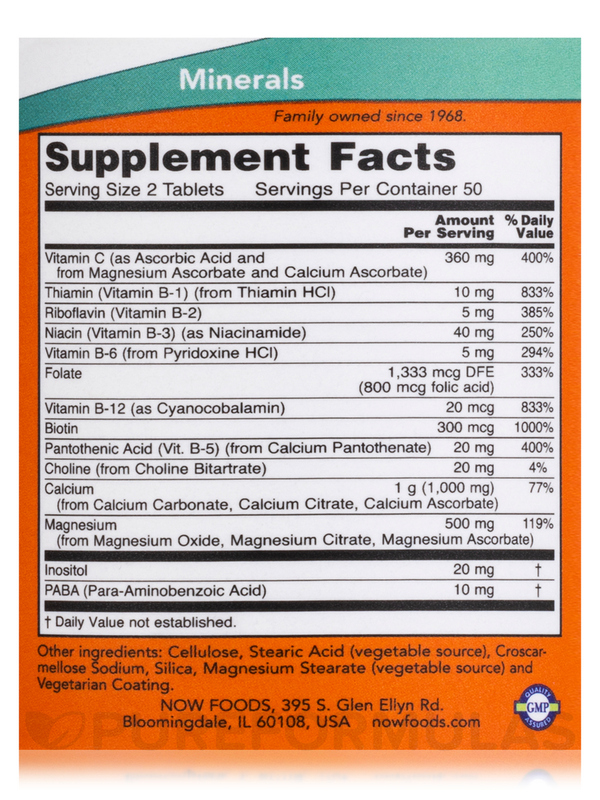 Originally bought this Cal-Mag with B-Complex and Vitamin C - 100 Tablets to help daughter sleep. Ended up helping my restless legs at night. 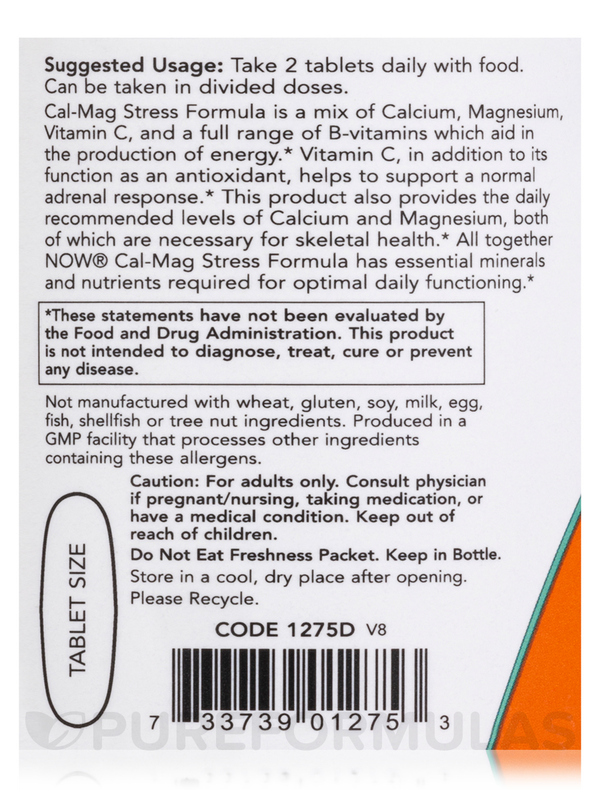 Cal-Mag Stress Formula is a mix of Calcium‚ Magnesium‚ Vitamin C‚ and a full range of B-vitamins which aid in the production of energy. Vitamin C‚ in addition to its function as an antioxidant‚ helps to support a normal adrenal response. 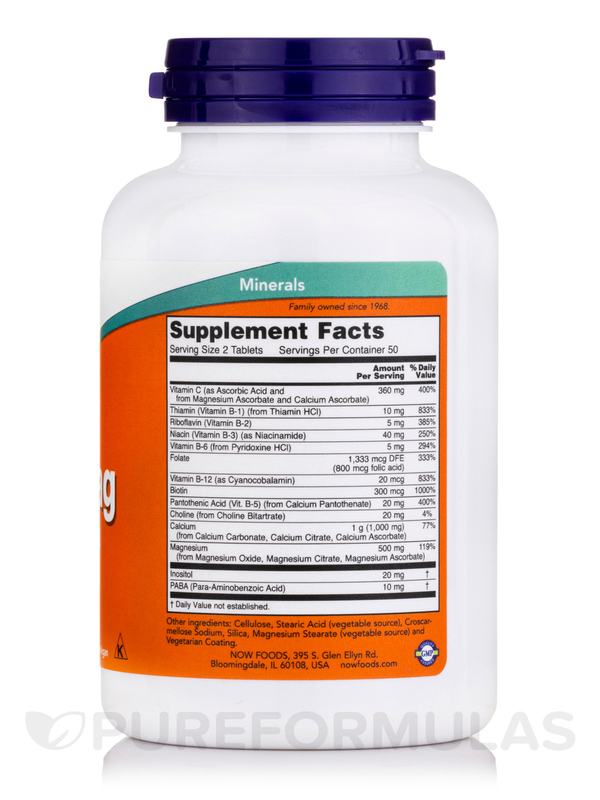 This product also provides the daily recommended levels of Calcium and Magnesium‚ both of which are necessary for skeletal health. 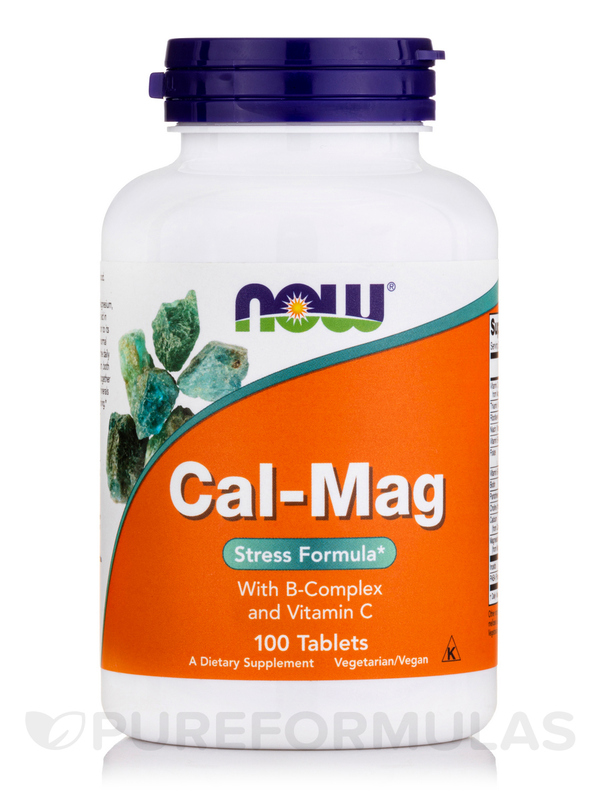 All together NOW® Cal-Mag Stress Formula has essential minerals and nutrients required for optimal daily functioning. Other Ingredients: Cellulose‚ stearic acid (vegetable source)‚ croscarmellose sodium‚ silica‚ magnesium stearate (vegetable source) and vegetarian coating. Take 2 tablets daily with food. Can be taken in divided doses. 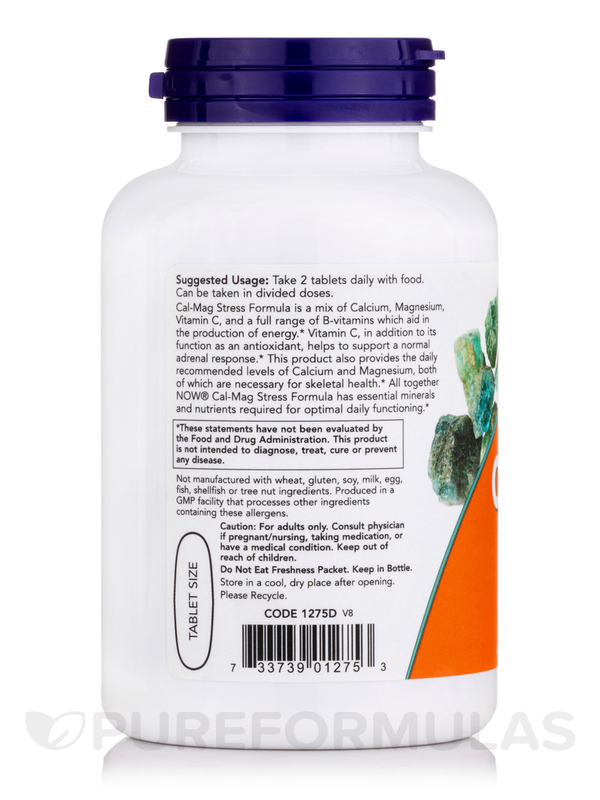 I began taking Cal-Mag with B-Complex and Vitamin C by NOW for the balance of calcium, magnesium and vitamin C. After several months, I noticed that when I forgot to take it for a few days, I felt a little low. Thinking back, I realized my mood had improved after I started the product. A little research, and sure enough, the combination has documented effects on depression and anxiety. Nice when you experience a response you weren't expecting! Improved energy and less stress.